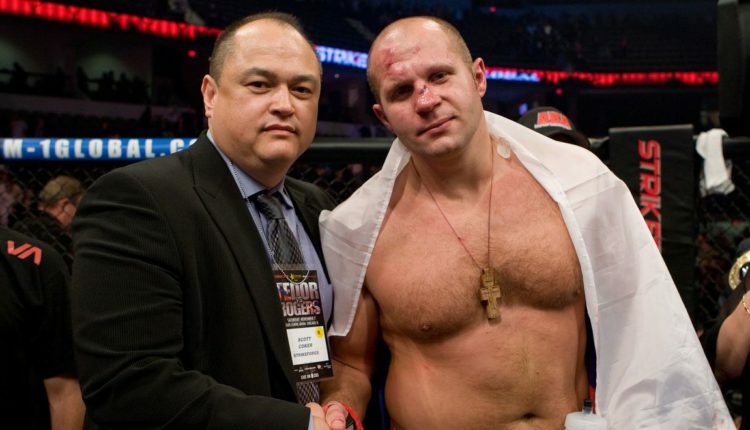 Bellator Heavyweight Final Set For L.A.
With the Semi-finals set for next weekend’s Bellator 207 and 208, Scott Coker announced where the finals of the Heavyweight Grand Prix will take place. In an interview with the Los Angeles Times’ Lance Pugmire, Coker confirmed that The Forum in Inglewood, California will house the finals on January 26th. The semifinals begin with Bellator 207 at the Mohegan Sun as light heavyweight champion Ryan Bader faces off against Matt Mitrione, and ends when Fedor Emelianenko squares off with Bellator commentator Chael Sonnen at Bellator 208 from the Nassau Coliseum on Long Island, New York.